A trio of dormers with arch-topped windows and a country front porch adorn the facade of this gracious, three-bedroom home. Columns and a tray ceiling grant distinction and definition to the formal dining room, while the great room is enriched by a cathedral ceiling with two rear clerestory dormers, a fireplace, and built-in bookshelves. The home's split bedroom design provides plenty of privacy for the master suite, which features a tray ceiling, walk-in closet, and bath. 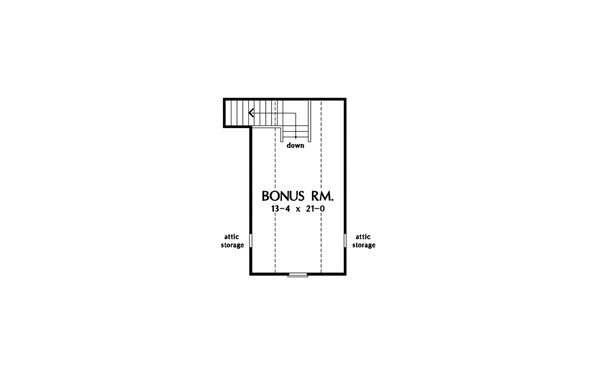 Two secondary bedrooms, one with back porch access, share a hall bath with linen closet. 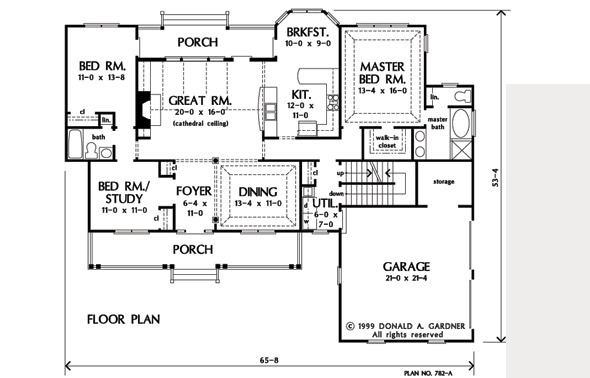 1st Floor: 1733 Sq. 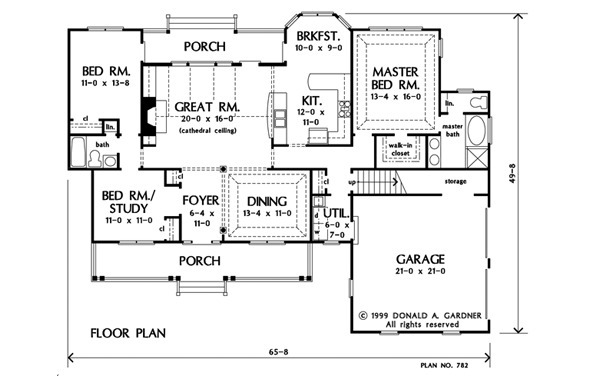 Ft.
House Dimensions: 65' 8" x 49' 8"
Bedroom #3 : 11' 0" x 13' 8" x 9' 0"
Porch - Rear : 22' 0" x 5' 4" x 0' 0"
Storage (Other) : 18' 0" x 3' 8" x 0' 0"
Foyer : 6' 4" x 11' 0" x 9' 0"
Dining Room (Tray): 13' 4" x 11' 0" x 10' 6"
Great Room (Vaulted): 20' 0" x 16' 0" x 15' 1"
Utility Room : 6' 0" x 7' 0" x 9' 0"